Mirissa is a low-key beachside town in the South of Sri Lanka, much more relaxed and quiet than the popular beach hot spots of Unawatuna or Hikkaduwa nearby. 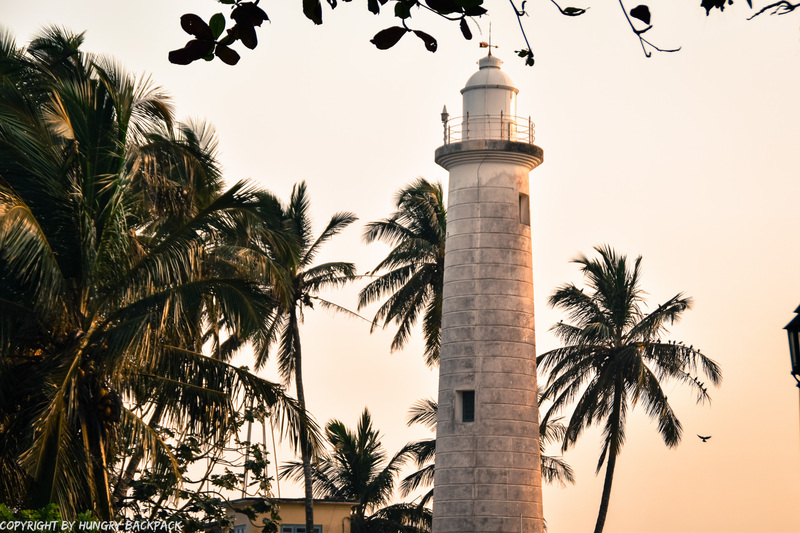 As this town is mainly known for the numerous whale watching tours on offer most people just make a quick stop in Mirissa to go on a tour before they’re already off to some other place they need to cross off their packed Sri Lanka bucket list. 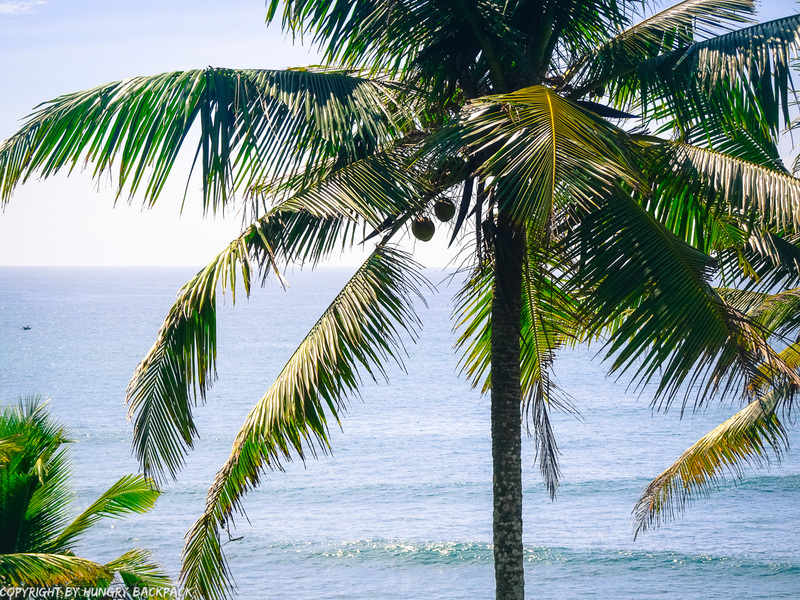 We however think not spending at least a couple of days in Mirissa Beach would be a crime – especially if you’re not in a hurry and love to spend some relaxing days by the beach, chillin’ under a palmtree, sipping on a fresh king coconut while planning your next big adventures. 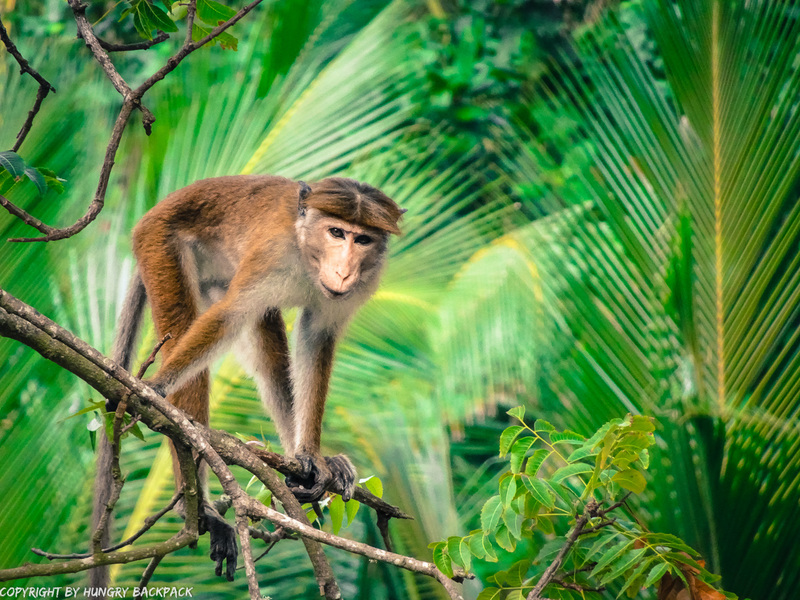 We absolutely loved our 4 days here and consider Mirissa one of the top places we’ve visited in Sri Lanka which is no surprise when your mornings already start with listening to the sound of the waves from the beach just down the road, watching some cheeky monkeys up in the trees play around while feasting on a big plate of fresh tropical fruits! C’mon – this is paradise!!!! 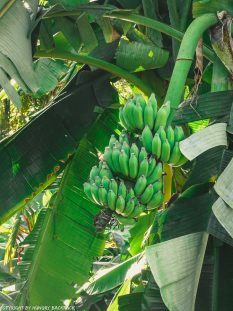 Tropical fruit fresh from the tree! 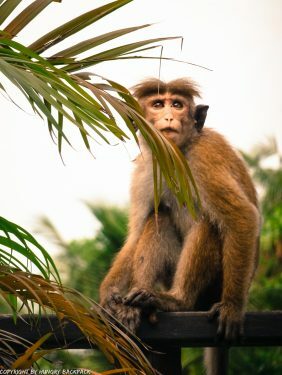 Should you wonder what else there is to see and do in Mirissa then keep on reading. 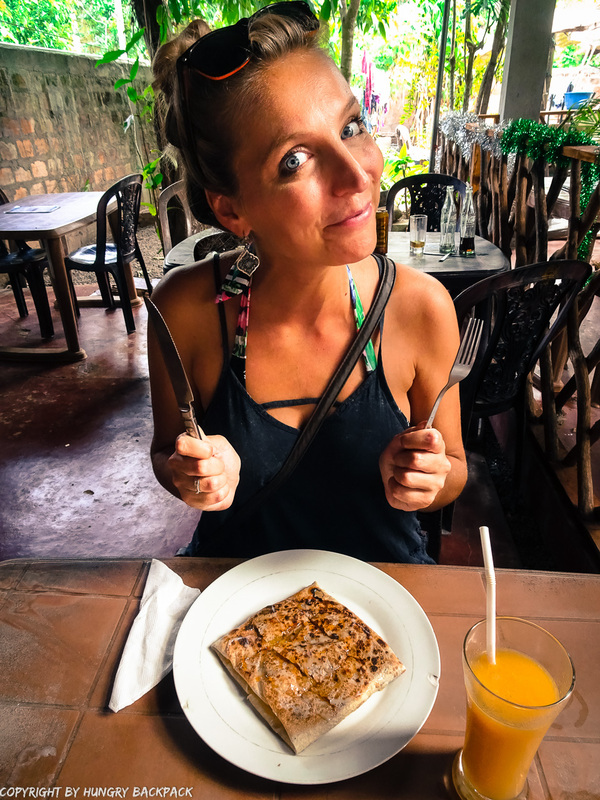 We’ve put together a detailed guide with suggestions on how to spend your days here along with some useful information on how to get to Mirissa, where to stay in Mirissa and – obviously  – where to fill your hungry bellies in Mirissa. 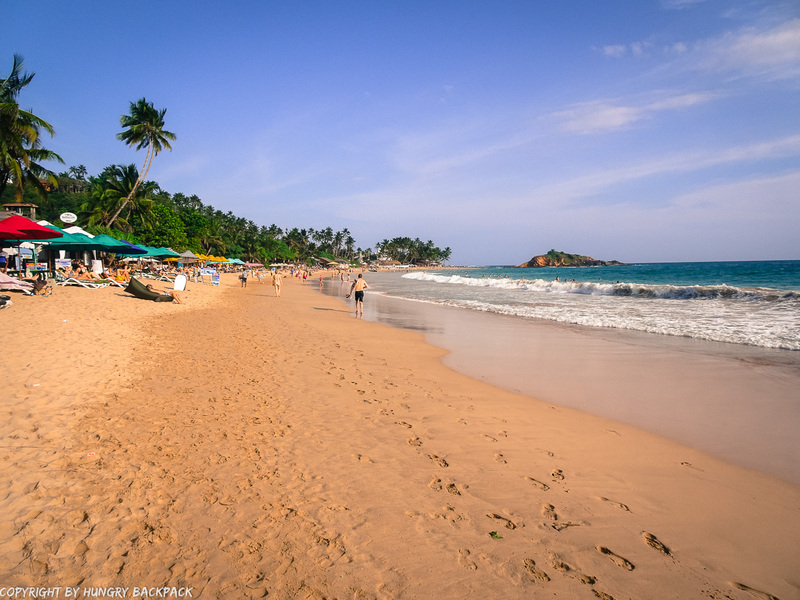 Our personal number one thing to do in Mirissa – HIT UP THE BEAUTIFUL BEACH! If the beach in Unawatuna is too crowded and boring for you, than you should definitely check out Mirissa beach! 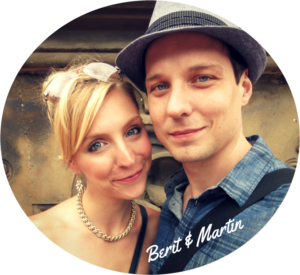 We absolutely loved it, the vibe was perfect and we could have happily spend days here. Obviously the beach it’s still busy with other tourist (especially from around noon to late afternoon) but somehow it still had a much quieter and more relaxed feel to it than nearby Unawatuna beach. 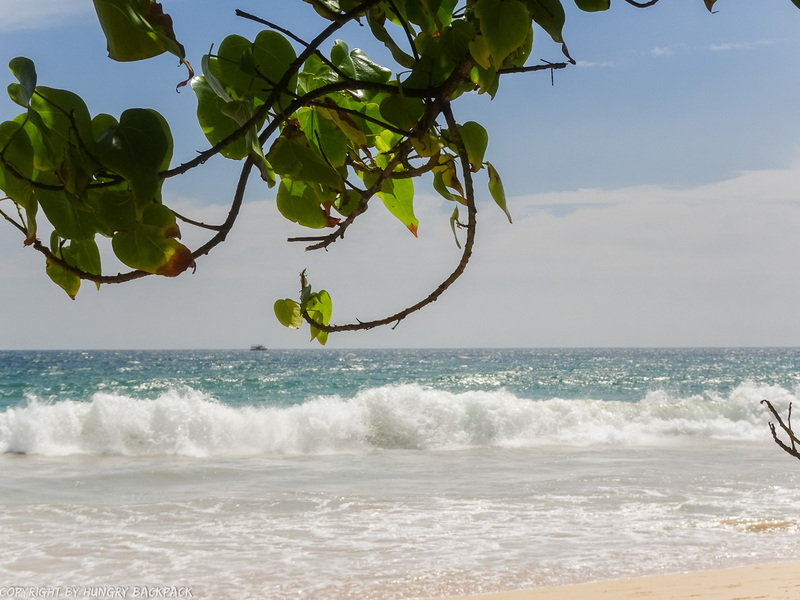 It’s a fairly large stretch of soft white sand with plenty of space to put your towel and to enjoy the sweet beach life. You have lots of trees that will provide some shade if you need to escape the heat, you have some wooden shacks for restaurants to secure you a lunch-time treat and the waves are actual WAVES so you can jump, body-board or surf your little playful heart out here if you need a bit more action. After dark, the restaurants put out tables on the beach, light lanterns and candles and serve some delicious fresh seafood – the perfect way to end your day! 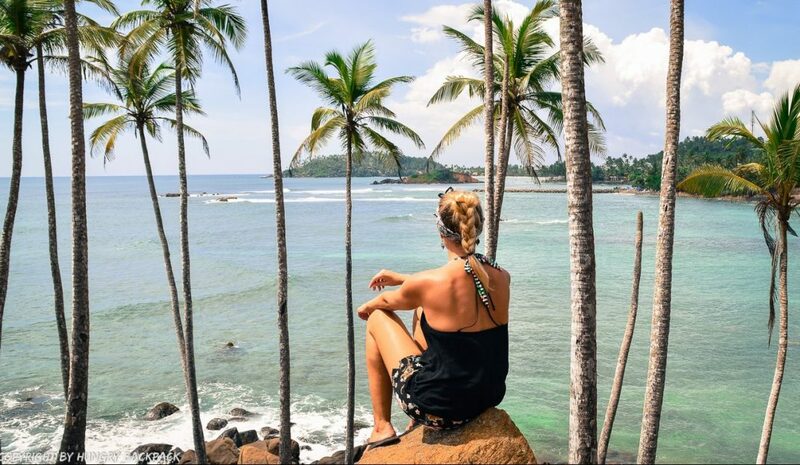 Talking about the beach, one of the popular activities to do in Mirissa is climbing Parrot Rock – especially at sunrise or sunset for some breath-taking views. 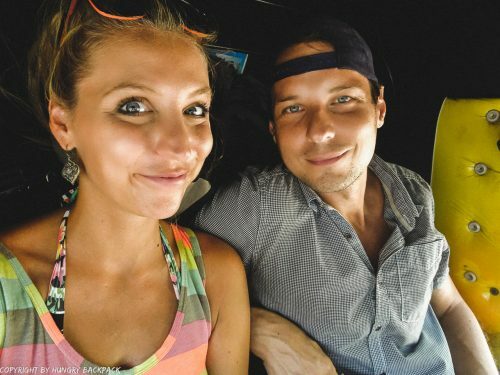 No worries, you don’t need to unpack your hiking boots for that hike (save it for Ella! ) as the Parrot Rock is this little island/ hill right at the end of Mirissa beach which you can climb up at low tide. It’s very photogenic so you can’t really miss it! Although it only takes minutes to climb up and there are some great views of Mirissa Beach to be enjoyed from the top (at least so I’ve heard) I didn’t go as there was this part where it gets a bit tricky if you suffer from vertigo. So be careful! 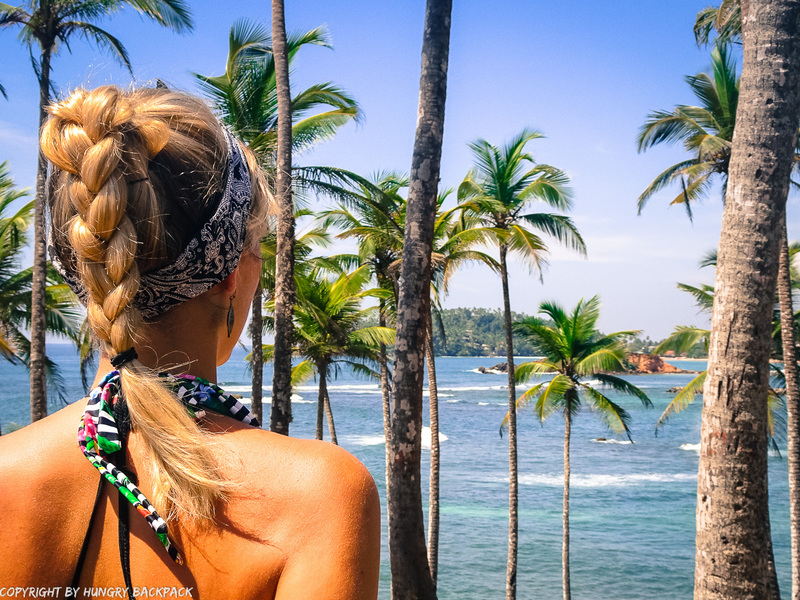 Probably the number one thing to do in Mirissa, at least according to online platforms such as Tripadvisor & Co. is going on a Whale Watching Tour as Mirissa is one of the best places in the world to see the giant blue whales. The best time to spot these wales should be from the end of November until March however tours are offered on pretty much any day of the year. Just keep in mind that from May to October sightings are less common and tours might get cancelled due to the rougher seas and the “not-so-optimal”-weather conditions during this time. 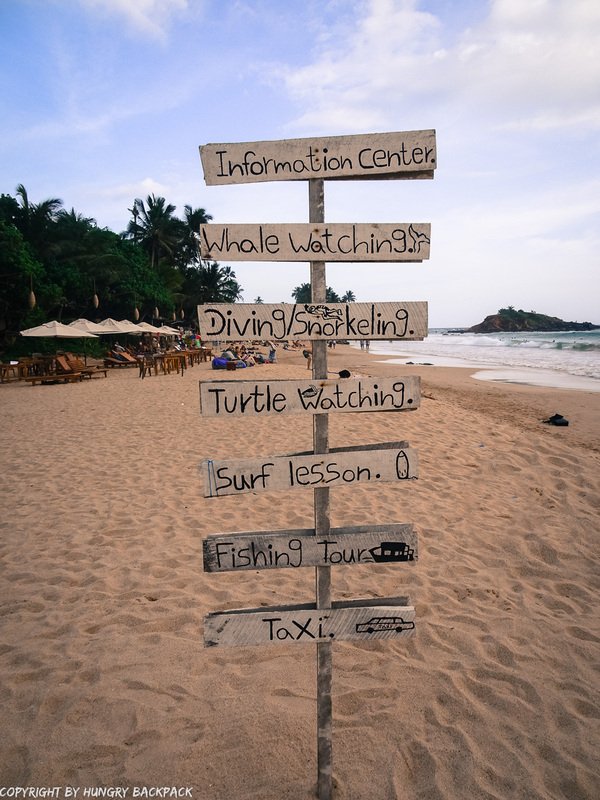 With the booming number of tourists coming to Mirissa to enjoy this marine life and to see some of these giants there are now loads and loads of companies you can book your whale watching tour with so make sure you do your homework and compare. Prices as well as (ethical) standards seem to differ a lot so we highly recommend researching the various operators online before booking a tour. 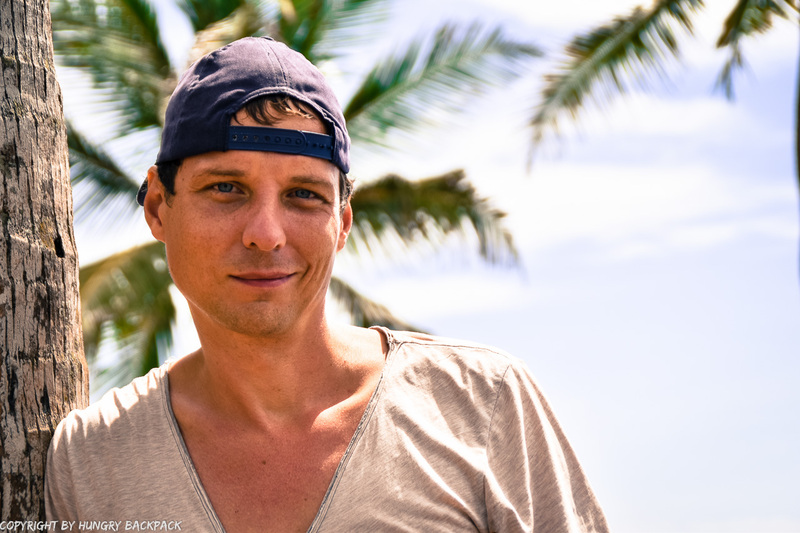 We heard good things from the “Whale watching Club” who are known for not overcrowding their boats and keeping their distance to the whales – maybe worth to check them out. 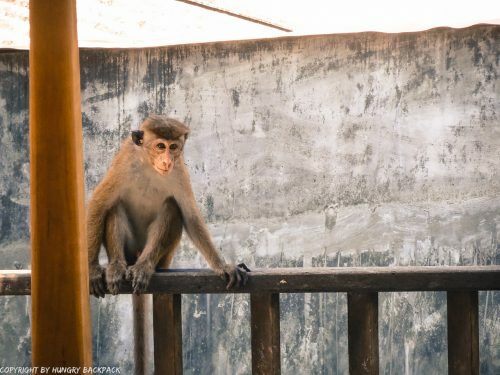 Some homestays (if not all of them) offer you a tour the moment you step through their door but it’s not always clear which company they actually work with so make sure you ask and check online if you’re happy with that operator. If not, simply head to the beach and shop around for a company that fits to you and your expectations. No matter which operator you decide to go with in the end, all of these tours cost minimum 6000LKR+ ($40+) and leave super early in the morning as the sea tends to get quite rough later in the day with fairly big waves. So you’ll be back by lunch-time or early afternoon the latest. 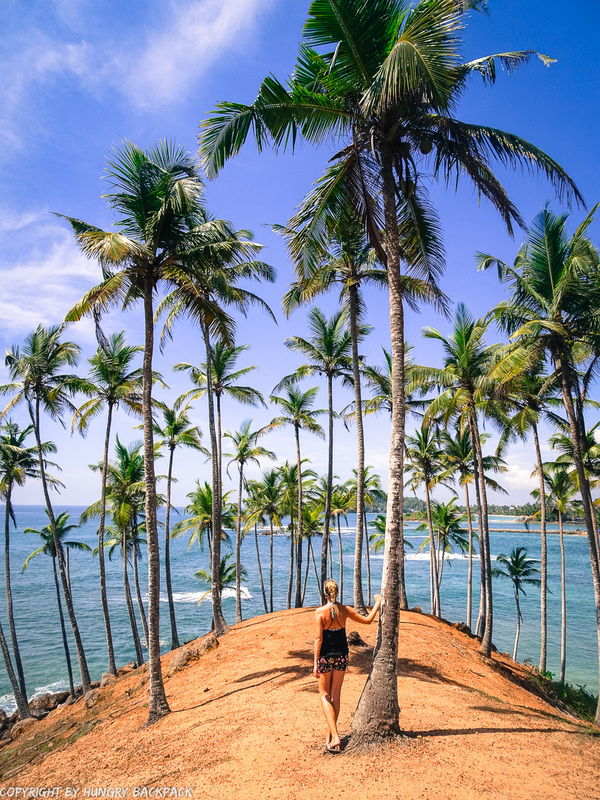 Our favourite place in Mirissa was Coconut Hill or Palm tree Grove with it’s gorgeous palm tree forest and the stunning view of the turquoise ocean beneath. Just magical! This secluded spot is the ideal place to get some epic tropical shots of you in paradise – for sure!  So come with an empty SD card and snap away! To get there you can either take a tuk-tuk which costs around 200LKR or you simply walk along the beach for about 30 minutes past parrot rock and away from Colombo. You’ll pass through several smaller bays where you can stop for a quick dip in the water before getting to the hill. 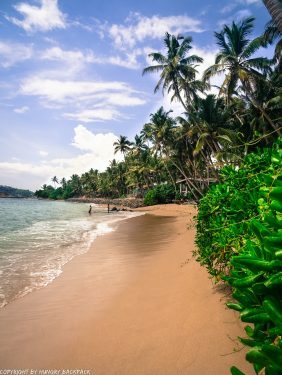 Should you ever get tired of Mirissa why not head to nearby Unawatuna – there are tons of great things to see and do in this beach town which we have listed in our post the ultimate guide to Unawatuna. If you’re more of a culture buff then head a little bit further to historical Galle Fort. 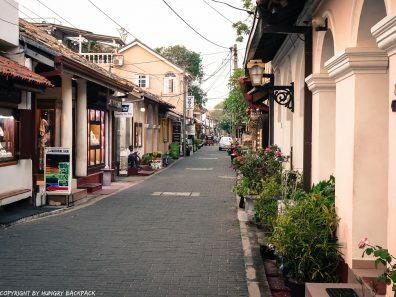 It’s not only the place for some great shopping and dining but most importantly you can explore the beautiful old Dutch Fort and wander around to cute little streets with their European feel. We could have easily spend days here. Unawatuna and Galle Fort can both be easily reached from Mirissa by public bus or tuk-tuk. 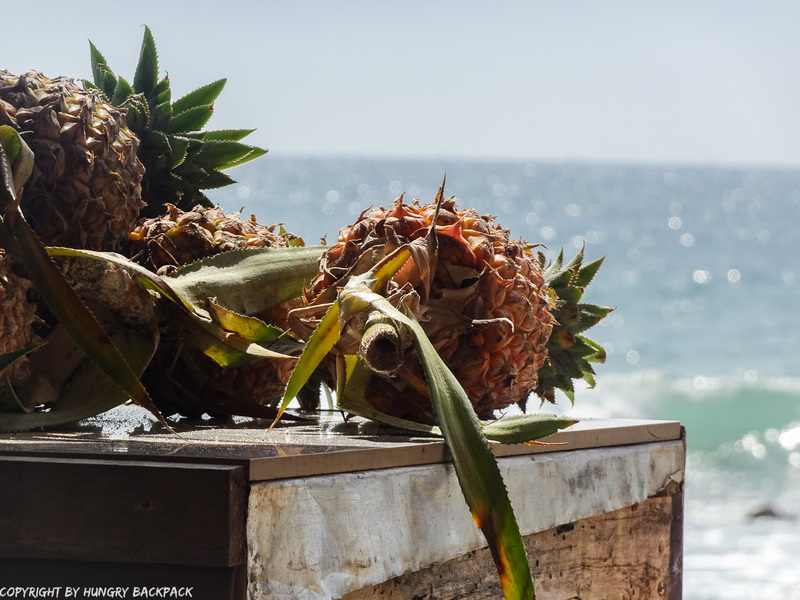 A lazy days by the beach, maybe a good book in one hand and a pina colada in the other followed by a delicious (and not too expensive) feast for your hungry, slightly sunburned holiday belly – aww, what else do you need? 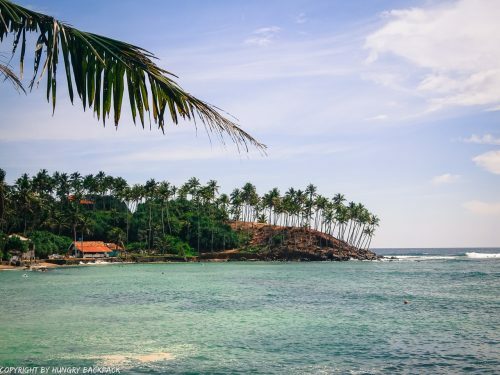 If this sounds as heavenly to you as it sounds to us than you’ll feel right at home in Mirissa. 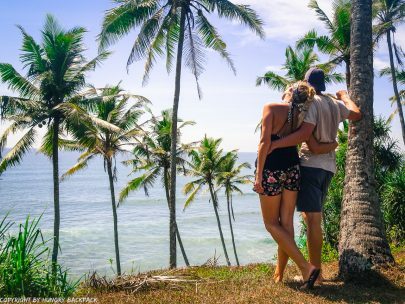 This is still the touristy part of Sri Lanka so yes, you might have to share the beach with a few other holiday makers and backpackers but more tourists translate also in a greater choice of accommodation AND restaurants which is definitely a good thing!! There are parts in Sri Lanka where you’ll find nothing but rice & curry so coming to the Southern Province is like stepping into the land of milk and honey – so much great food choices!!! 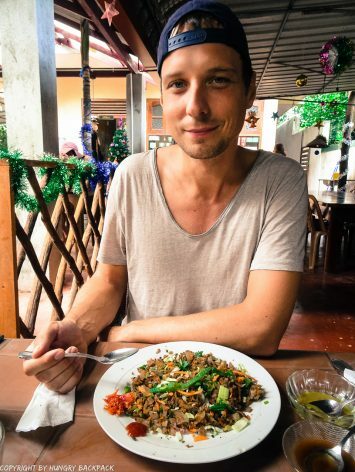 So simply EATING delicious food is one of the top things to do in Mirissa. We’ll be listing some recommendations of where to eat below with a bit more info about the places but some of our favourite restaurants included the amazing smoothie bowls from Shady Lane, the delicious Rotis from No 1 Dewmini Roti Shop and the fresh sushi at Little Tuna Sushi. YUM! 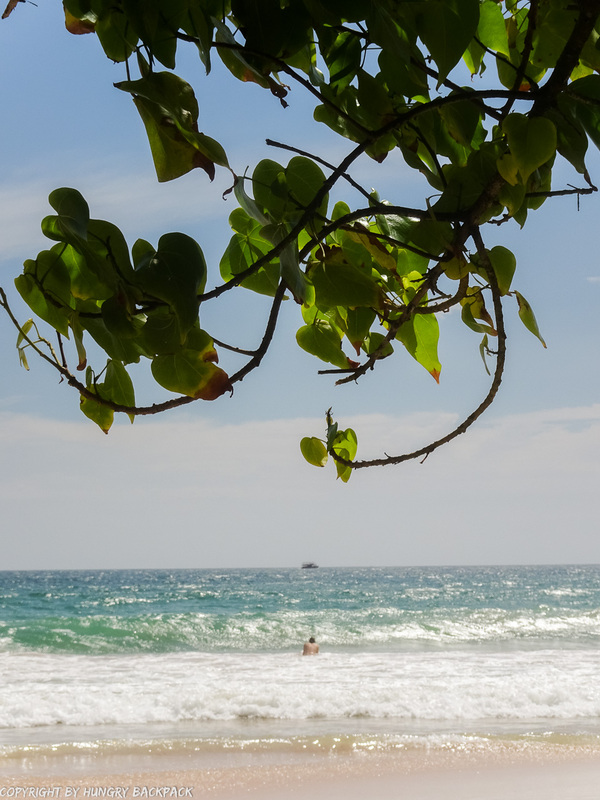 Mirissa is the place to be for all your surfer souls. Contrary to Unawatuna with it’s calm waters there are actually some pretty big waves in Mirissa making it very popular for surfing – especially at the western end of the Bay. We’ve personally never tried surfing but may have been tempted to join some surf lessons here as this place wasn’t too crowded, prices seemed reasonable and generally it just looked like a lot of fun. 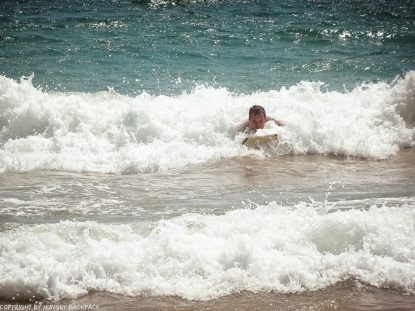 However, we only had 2 days on the beach so we decided to rent a Boogie Board instead and get a lil’ bodyboarding action!! Have you ever tried? 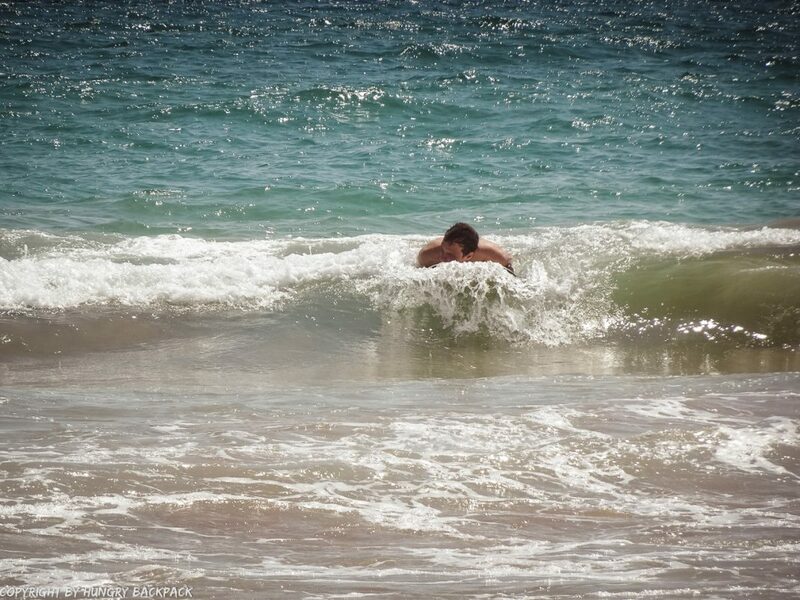 Basically it’s the next best thing if you want to have some fun with the waves. 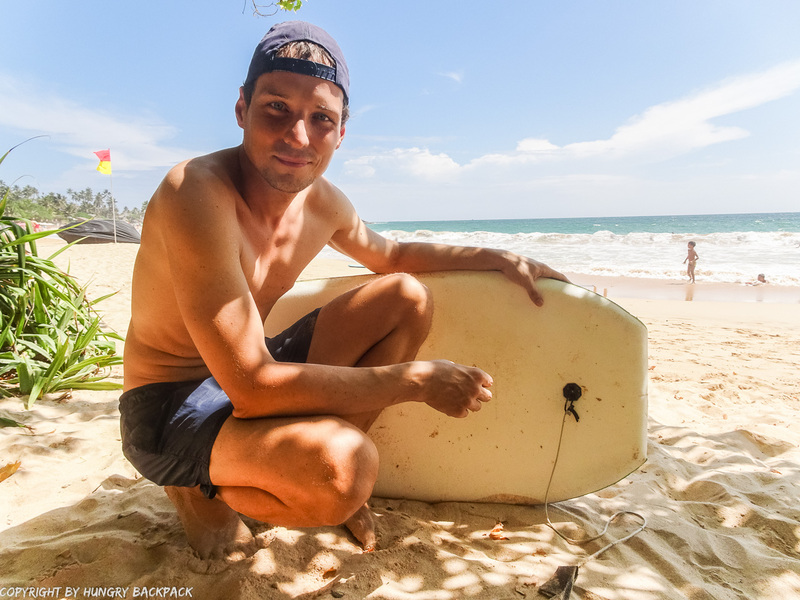 Luckily, it’s also way more efficient as you can master the art of boogie boarding fairly quickly.  Within minutes we got the hang of it and were catching waves that washed us back to the beach – it was a blast! 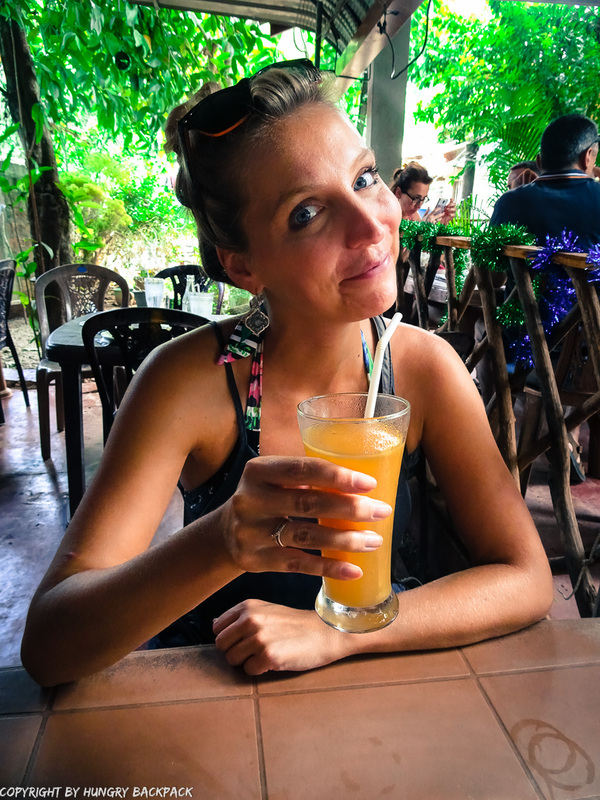 There a quite a few cosy little beach bars and restaurants along Mirissa beach so it would be a crime to leave this town before hitting at least on or two of them – yea right, as if you needed another reason to hang around the beach all day . Once the sun is gone restaurants will light candles and switch on some fairy lights for an extra romantic and cosy feel. If you’re lucky there is even some live music playing making it the perfect end to a perfect day. As mentioned before Mirissa has a great food scene so you definitely won’t go hungry in Mirissa. 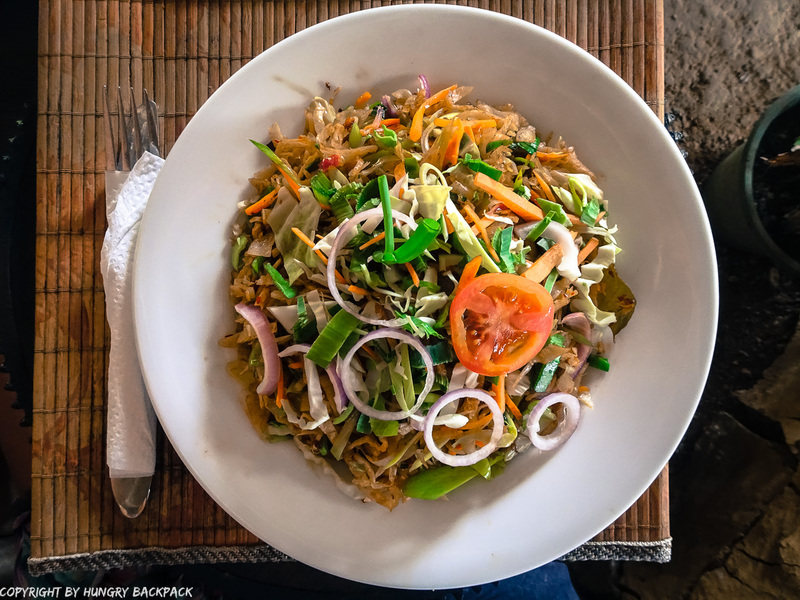 Although it’s a fairly small beach town there is still plenty of choice – from the typical and delicious Sri Lankan cuisine to fresh seafood on the beach and yummylicious international dishes! 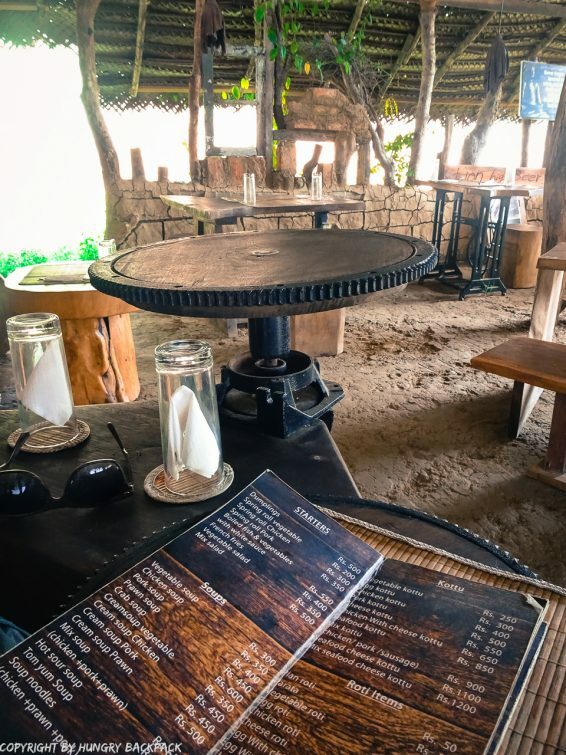 Here is a list of our favourite places to eat in Mirissa. We love this place! No 1 Dewmini Roti Shop is an outdoor restaurant in a quiet alley in the centre of town. 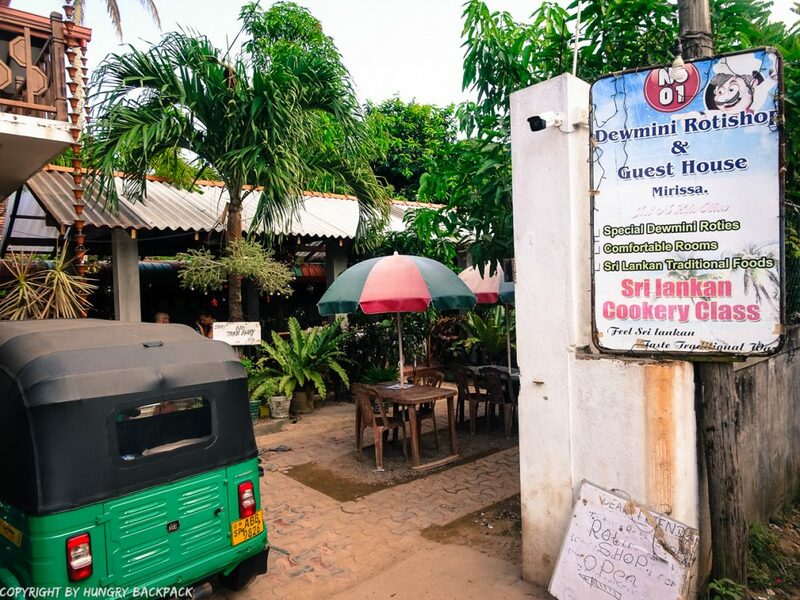 As the name suggests, this is the place to come for some traditional (and reasonable priced) Sri Lankan food! We had the Roti as well as the Kottu Roti and both were spot on! They also do cooking classes which I would have loved to do if I had known about it earlier. If you like Sushi without all the fancy fluff than Little Tuna is the place for you. The open-style restaurant has a very relaxed and laid back vibe (we’re talking swinging in hammocks while waiting for your food!) and serves delicious top-notch sushi that’s made fresh to order. Avocado Toast, poached eggs, fresh fruit juices and rocking Smootie Bowls – do we need to say more? 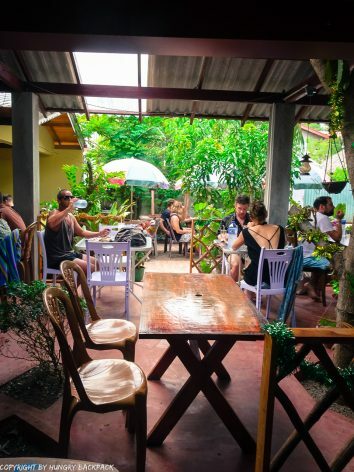 Definitely our number one spot to grab a delicious breakfast or brunch in Mirissa before heading to the beach! 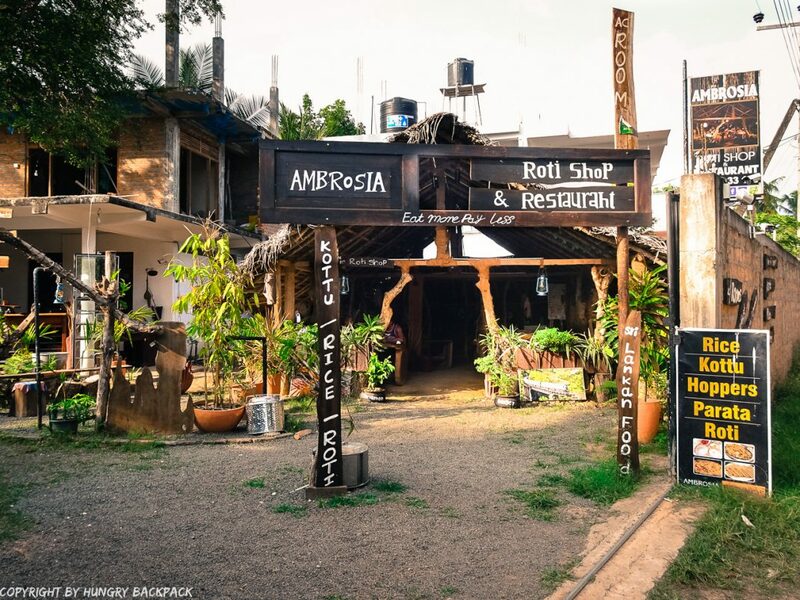 We stumbled upon Ambrosia Roti Shop on our way to the beach and absolutely loved their generous portion of Kottu Roti! Super flavoursome and delicious! It’s fairly small with only around 6 wooden tables/ vintage items (we were actually sitting on a old sewing machine) set in little garden so has a very cosy, local and laid-back vibe. Hangover Café – Burgers & Co. There is only so much rice one can eat before craving some pasta and burgers! If you’ve reached the that limit than Hangover Café has the cure with their delicious American style burgers, fries, pancakes, pasta and Co.! 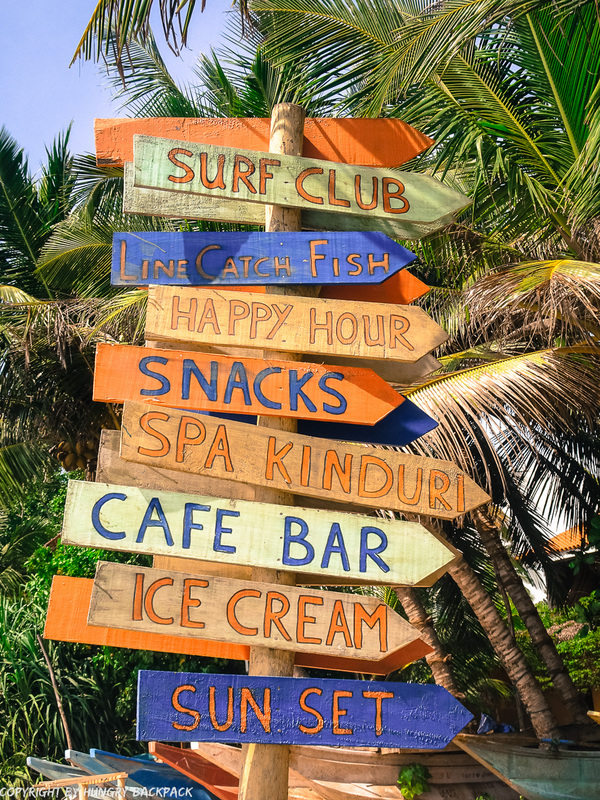 If you’re looking for a place to stay in Mirissa you’ll be spoilt for choice. Although not quite as touristic as Unawatuna there are still tons of awesome hostels, hotels and guest houses to choose from so whatever your budget, Mirissa got you covered. 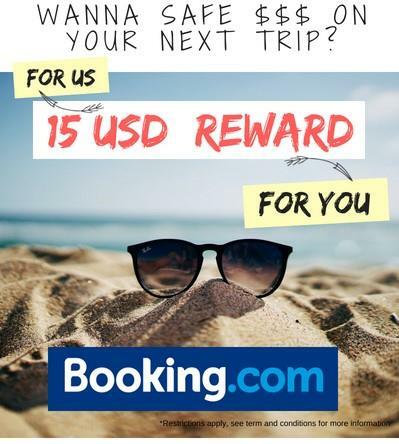 Booking.com regularly offer discounts on properties in Mirissa, so click here* to see the best deals and offers for your stay! We stayed 3 nights in a guesthouse called Mirissa Beach Inn* which was just a few minutes from the beach as well as close to some shops and restaurants. The rooms very pretty basic (bathroom, AC, big compfy bed) but we loved the big terrace from where you could spot monkeys (sometimes they would even play right in front of our door) and they served a filling and delicious breakfast in the morning. 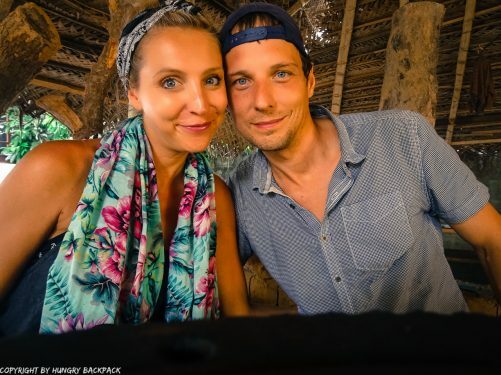 Should you consider taking the train than keep in mind that Marissa’s train station is a bit of a hike from town so you’ll probably need to take a Tuk-Tuk to get you to your accommodation. 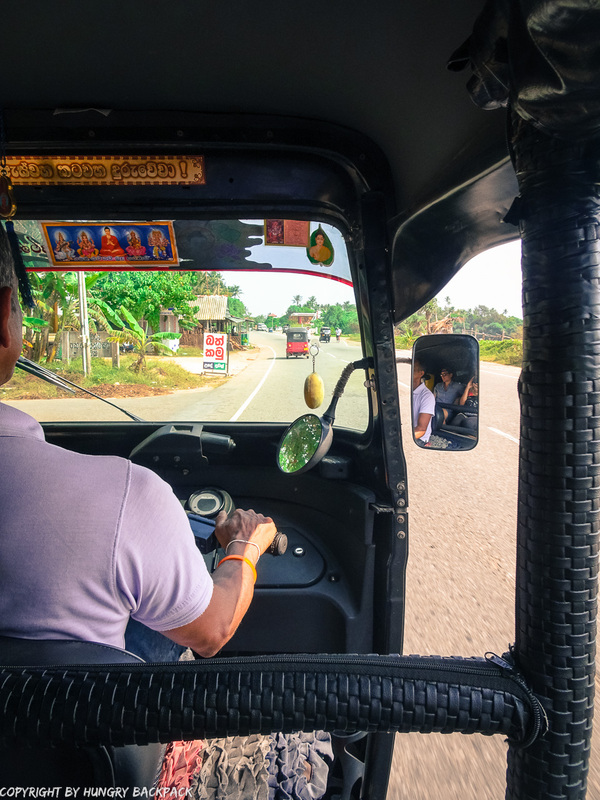 If you’re coming from Colombo it’s best to take a train to Weligama and then take a bus or Tuk-Tuk from there. If you’re in the South already coming from another town such as Unawatuna or Tangalle you’re probably far better off taking the public bus to get to Mirissa as one of the main coastal roads is running right through town and you’ll be dropped off near the beach. If you’re coming from Colombo you can still travel by bus but the 4-5 hour journey might not be as comfortable. There are regular bus services running from Colombo Fort going to either Matara or Tangalle. Simply ask the driver to let you out in Mirissa. This bus route also makes it super easy to continue your travels by bus to either Unawatuna & Galle or Matara & Tangalle from Mirissa. 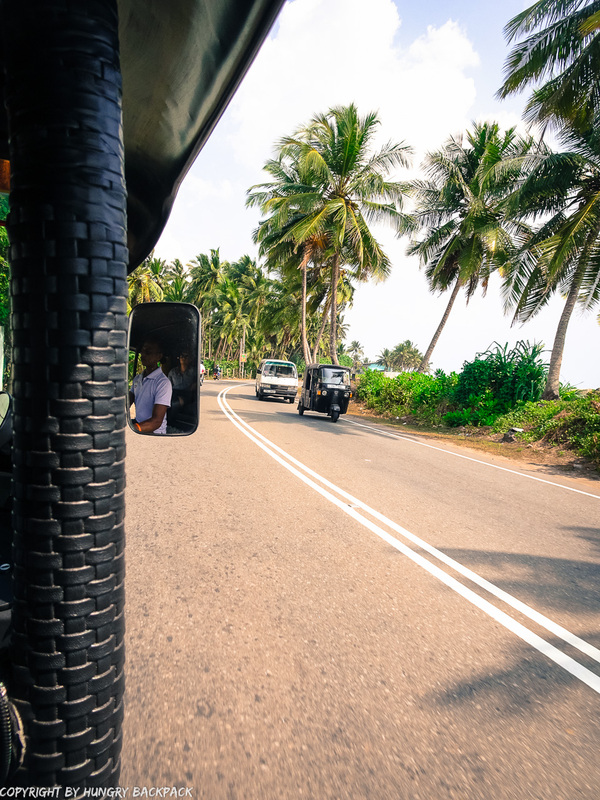 If you don’t have a tight budget and want to be more comfortable and get around much faster than private transfers are available between all major destinations In Sri Lanka. The cost will be dependent on how far you need to go and your negotiation skills. You can check with your hotel or home-stay who will happily assist you with booking your transfer. As it’s quite touristy, Mirissa is definitely more expensive than most other locations in Sri Lanka. We spent about $40 USD per day which was based on staying in a nice guesthouse including breakfast, as well as a small lunch and a proper dinner at a restaurant every day. 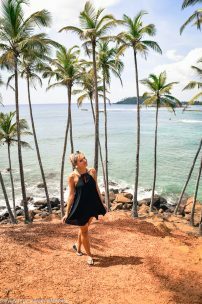 We really enjoyed our 4-day stay in Mirissa – aka our new found happy place – and would definitely come back. 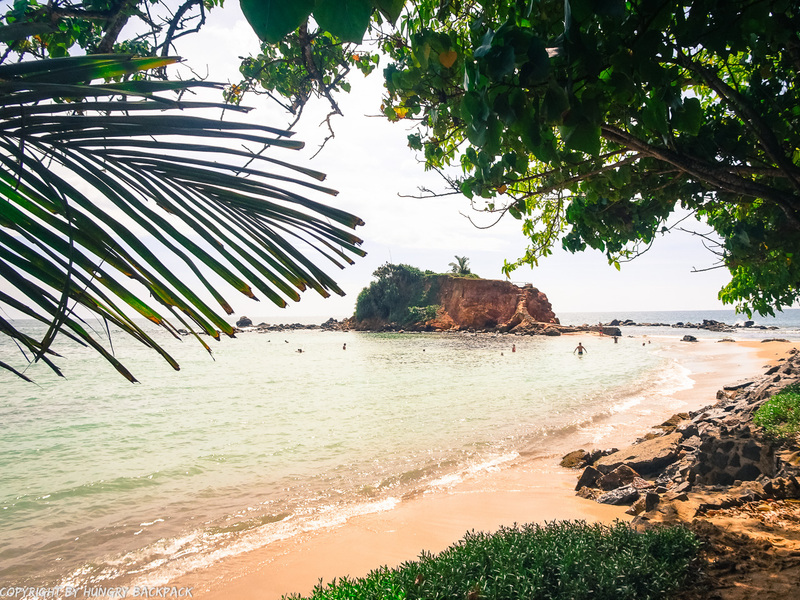 It’s a bit more laid-back than nearby Unawatuna but still offering enough choice when it comes to accommodation and restaurants making it the ideal place to spend a few relaxing days by the beach. As promised here are a few more ideas where you could stay when you stop over in this lovely village. 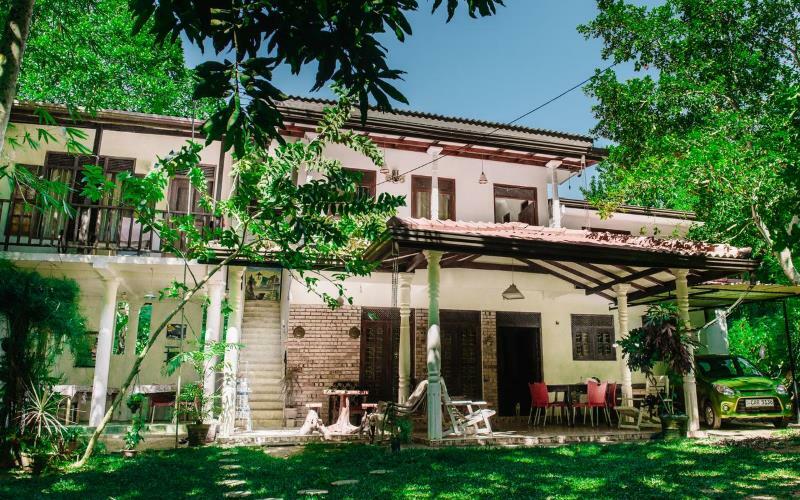 Surrounded by a beautiful tropical garden, Kadolana Guest House is located only 200 m from Mirissa’s main tourist strip. 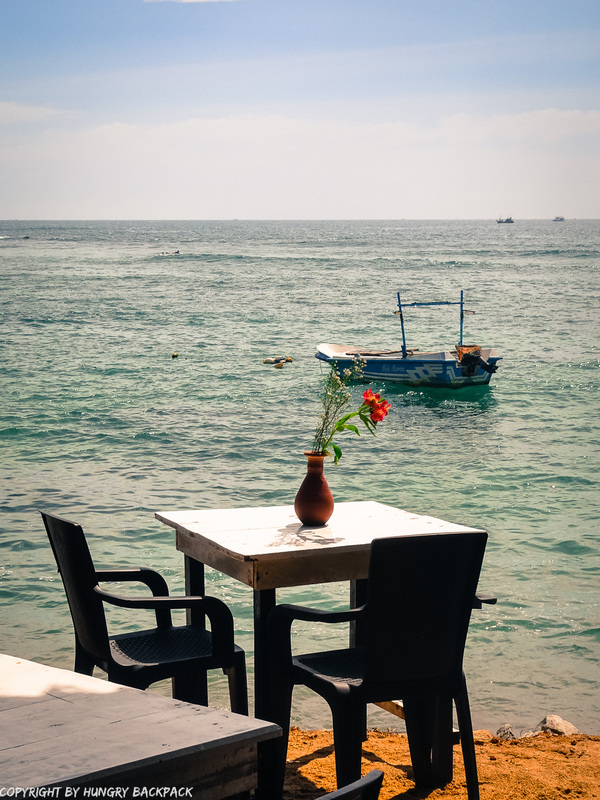 It offers a restaurant and offers complimentary WiFi access. Fitted with a balcony, the cozy rooms are cooled with either air conditioning or a fan. Prices per room and night start at only 20 USD. 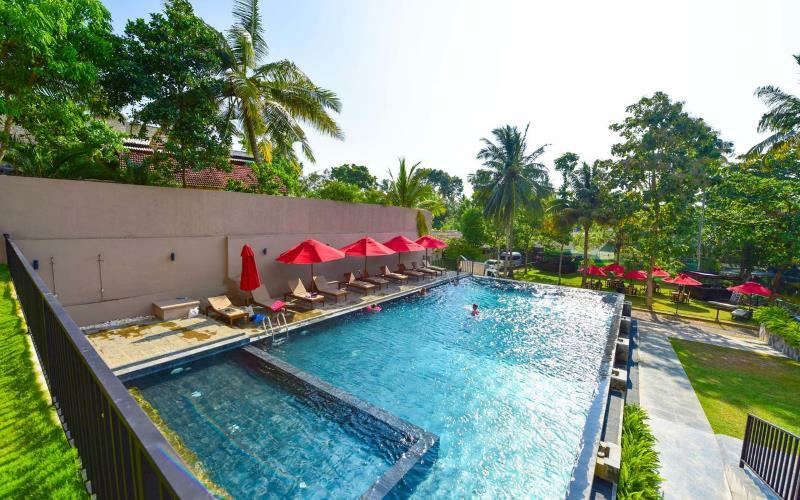 Offering an amazing outdoor swimming pool and water sports facilities, Ballena Regency is located in the heart of Mirissa, only a short walk from the beach and restaurants. 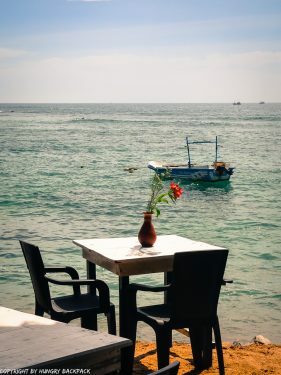 The hotel comes also with a rooftop restaurant offering stunning sea views. We’ve always passed by this hotel on our way to town and often wished to stay here for a night or two :-). Prices per room start from 70 USD/night. If you’re coming from Unawatuna like we did, take the public bus (approx. 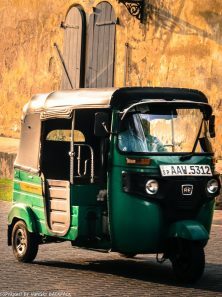 1 hrs ) and then a tuk-tuk from the bus station if it’s too far to walk to your guesthouse. The best time to explore this beach destination weather-wise is from December to March which are the driest months for Sri Lankas South-West coast. Mirissa is like Unawatuna a bit more expensive than most of the other towns we’ve visited in Sri Lanka. Rates for accommodation and food were approx. 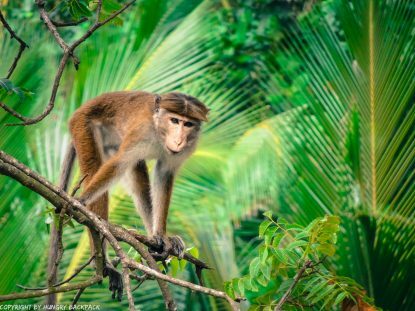 30-40% higher than in areas further inland such as in Ella or Dambulla. There are plenty of hotels and guesthouses to choose from. We stayed at the Mirissa Beach Inn* as it offered good value for money and was in walking distance to the beach and the village. We stayed 3 nights in a guesthouse called Mirissa Beach Inn* which was just a few minutes from the beach as well as close to some shops and restaurants. 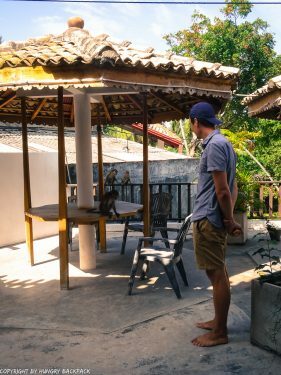 The rooms are pretty basic but we loved the big terrace from where you could spot monkeys and they serve a filling and delicious breakfast in the morning.